It’s hard to encapsulate Melbourne’s most inspirational spots in a few highlights. Melbourne is a lifestyle city, it’s not a place I view with a shortlist of must-sees, but a vibe that has to be experienced for an extended period there. In fact, for the last seven years straight, Melbourne has topped The Economist Intelligence Unit’s World’s Most Liveable City list. So do as the locals do: eat whenever you get the chance, drink coffee in laneways, go to the theatre or a sporting match, wander the parks, shop at the markets and soak it in. I lived in Melbourne for almost five years. The day I moved there was the day I first set foot in the city. It was a complete leap of faith, I had never been there and knew no one but the boyfriend (now husband) I was moving for. I very quickly found my place in this creative, cultured capital and have since referred to it as my “soul city,” (my term for the geographical version of a soul mate). 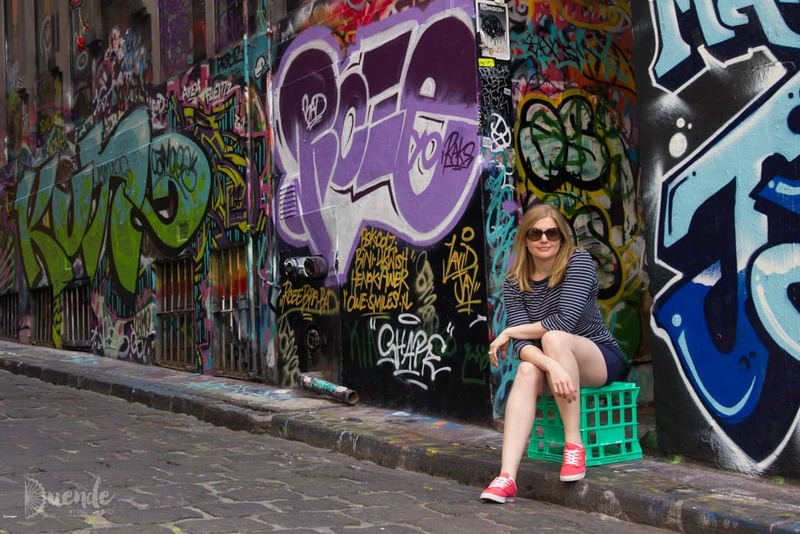 Having become an expat, I’ve returned twice to play tourist and it had me thinking about how to really boil down the Melbourne experience into a 72-hour visit. If you’re planning to arrive in Melbourne by air, it’s very important to note that the city has two airports, one much closer to the city than the other. Do not choose Avalon Airport. I repeat do not choose Avalon Airport. Yes it’s generally cheaper, that’s because it’s twice as far away from downtown. PRECIOUS. TIME. WASTED. Fly into Melbourne Tullamarine Airport (airport code MEL). There are variety of options for getting from the airport to the city, and all of them are dependent on traffic conditions grrrrr. There is no slick train route and unless you have the means to hire a helicopter, there is Uber, Skybus, taxis and various door-to-door shuttle services. Allow an hour or more to get into town. Locate yourself in the south of Melbourne’s CBD closest to the Yarra River, or just the other side of the River at South Bank. There you have easy access to the tram and train network to get you around. Taking trams, buses and trains in Melbourne will require a Myki card, which can be purchased at Flinders Street Station. For more information on Myki cards for city visitors, see Public Transport here. The CBD has a free tram zone, you can locate a map here. There’s also a free City Circle Tram that travels a tourist loop around Melbourne with commentary. Melbourne has a well-deserved reputation for its food and coffee. You can take a chance by walking into any dining establishment and chances are it will be good. That’s the beauty of Melbourne. However, if you are a complete foodie and want to the best of what the city has to offer, then you need to make bookings in advance and take this into account when crafting your itinerary. Weather is also a heavy consideration in Melbourne as it’s notoriously changeable. They don’t say Melbourne experiences “four seasons in one day” for nothing. Be prepared to shuffle your itinerary around on the fly, to accommodate mother nature. Always carry wet weather gear and a warm layer in your day bag – don’t say I didn’t warn you! A few yearly events draw more than average crowds and make accommodation more expensive. Depending on your tastes, you may want to time your visit for one of these or stay well away. Cozy up in Melbourne’s laneways for a meal or just a coffee and some boutique shopping. These narrow streetscapes are unique to Melbourne when compared to other Australian cities and evoke a more European feel. More on Melbourne laneways… the city has various legal walls, where street artists can freely express themselves without being slapped in handcuffs. These laneways have become an iconic part of the Melbourne CBD and these everchanging galleries never provide the same experience twice. Use this map to navigate local street art. See some of Melbourne’s urban artistry in this post. Seriously, the buskers are on another level in this city. If you want to listen to live music you can do it in a traditional music venue, or you can just wander the city streets. Cherry Bar, Birds Basement, Toff in Town and Ding Dong Lounge will take care of your live music needs in the CBD, or head out into the suburbs of St Kilda, Fitzroy and Brunswick for many more. Go for a walk in one of Melbourne’s many gardens, you’ll be spoilt for choice from the Royal Botanic Gardens and war memorial known as the Shrine of Remembrance. Alternatively, try Albert Park (less of a garden, but a point of interest as it encompasses the Melbourne Grand Prix circuit), Carlton Gardens with the beautiful Exhibition Building and Melbourne Museum, or Fitzroy Gardens with Captain Cook’s family cottage relocated from the UK. Queen Victoria Market is the king of all markets in Melbourne. The market is accessible by tram within the free inner-city zone and has various sections for fresh food, handicrafts and souvenirs. I recommend going in with an empty stomach and you’re sure to come out stuffed. Check trading hours here. During the warmer months, the night market is also a cool midweek outing with live music and food. I’m personally not one for shopping as a means of cultural experience, but Melbournites are a fashionable bunch therefore I suppose it would be a very “local” thing to do. There is an endless list of places to shop in Melbourne – I’ll just list some of my favourites. Chapel St, Prahan caters for a variety of budgets and you can tram down there from the CBD. Visit Melbourne Central for Australian chain stores such as Sportsgirl, Witchery and Cue. CBD laneways and arcades are good for boutiques and carefully curated thrift shopping. Bridge Road, Richmond is home to a plethora of factory outlets. There are several, beautiful, historic theatres in Melbourne showing world class Australian productions of popular shows and local originals. Also, the National Gallery of Victoria (NGV) and the Australian Centre for the Moving Image (ACMI) in Federation Square, often host interesting exhibits from around the globe as well as small permanent collections. Depending on the time of your visit, there are always cultural events taking place, see What’s On Melbourne for the latest. From the Australian Open Tennis in January to the Boxing Day Test in December (that’s a cricket match the day after Christmas), Melbourne is never short on sporting events. However, there is no more popular sport in Melbourne and the state of Victoria, than Australian Rule Football (AFL). Honestly, Victorians are obsessed with AFL like no other Australian. If you’re going to see a game, you might as well do it there. CBD laneway eating – Degraves Street and Center Place for a signature Melbourne breakfast and Hardware Lane for lunch or dinner. Greek – The Greek Quarter on Lonsdale Street for affordable options along with any George Calombaris establishment including Jimmy Grants, Gazi, Hellenic Republic and The Press Club (listed in ascending order of price and dress code). Vietnamese – Victoria St, Richmond is Little Saigon, therefore home to the city’s tastiest Vietnamese cuisine. Colonial Tramcar Restaurant – That’s right, you can ride a historic Melbourne tram while being served a delicious meal. I highly recommend booking a lunch or early dinner service during daylight saving hours, and you’ll have a much better view of the passing scenery. Reach out just beyond the city, to the shores of Port Phillip Bay and see Brighton’s iconic beach boxes. Drive the Great Ocean Road and witness the Twelve Apostles – coastal rock formations. Surf enthusiasts might also want to take a trip down to Bells Beach, host to the Rip Curl Pro. Take the lunch service on the Tramcar Restaurant (book in advance). Tour CBD on foot and using the free tram including street art laneways. Dinner and nightlife in CBD. If the weather is good, take the tram to St Kilda for brunch in Fitzroy or Acland Street, walk the pier, see Australia’s first Luna Park and grab a coffee or ice cream at the historic kiosk. Continue south to Brighton for lunch and get Instagram worthy pics in front of the beach boxes. On your way back to the city, stop at the Shrine of Remembrance and Botanic Gardens, or take in a sports match. Enjoy a night at the theatre or live music venue. Explore the National Gallery of Victoria, Australian Centre for the Moving Image or do a spot of shopping. Eat your way through Queen Victoria Market for lunch. Get excited about your Melbourne visit with these tunes featuring local artists and songs about the city. We kick it off with a reference to Melbourne’s infamous weather with Crowded House’s “Four Seasons in One Day,” and end with Tina Arena’s “Sorrento Moon,” written about her childhood summers spent at Sorrento, south of Melbourne. Find flights to Melbourne with Skyscanner. Search for accommodation using Tripadvisor. I recommend the Travelodge Hotel Melbourne Southbank and Rendezvous Hotel. Don’t forget travel insurance, I recommend Seven Corners or World Nomads. I hope this guide will see you enjoy 72 hours in Melbourne, the world’s most liveable city.